Amazon to join the pharmaceutical market? Speculation is abundant that colossal international retailer Amazon intends to enter the world of pharmaceuticals. The claims are, however, based on little evidence. Much of the speculation is being fuelled by an extensive investigation by The Wall Street Journal. Amazon itself has yet to confirm whether or not they are planning an entry into the pharmaceutical market. There are indicators, however, that such an expansion may be on the horizon. Reports say Amazon has been approved for wholesale pharmacy licenses in twelve states. Meetings are being held between the online retail giant and CVS Health, one of the largest drugstores in the US, and with health insurance firm Aetna (which CVS is trying to acquire). Regardless of whether Amazon intends to break into the $450 billion USD pharmaceutical market or not, the effects of the possibility alone are already apparent. Major players within the market are already bracing for the potential impact Amazon could have on the market. Could drones revolutionise the pharmaceutical supply chain? On a global scale the service could also considerably increase access to medications, particularly in areas which lack access to pharmacies. Amazon has expressed future intentions to develop means of delivery via drone. If successful, a service in which they could deliver medicine via drone could allow rural communities across the globe to receive much needed medical supplies. Current assumptions are that Amazon will operate a service within the US to both sell and distribute prescription medication. As a company noted for their provision of next day delivery services this could have massive consequences in the market for prescription medication. Potential for home delivery of medication could render drug stores, as well as many other positions within the supply chain almost entirely redundant. This, from an industry perspective, could be viewed an unwelcome shake up to the market, leaving many companies out of business. Speculation about Amazon moving into pharmaceuticals has been enough to send the stocks of prominent pharmaceutical companies falling. From the point of view of the customer, the entrance of a new competitor to the market could be beneficial. Reduction in the length of the supply chain may drive down costs. This effect may be amplified as other companies are forced to compete with Amazon’s new service. Negative press is all too common within the pharmaceutical business. Prices are often vastly inflated by the time a medical product reaches the consumer. Blame for this is typically allocated to the drugmaker that produces the product, despite the fact that across the supply chain there are often considerable markups in price. With a host of bad publicity, a new face in the market may be well received. This dominance has produced a state of affairs where consumers are paying increasing amounts out of pocket for prescription medications. Out-of-pocket health expenditure in the United States is rising, which can be attributed in part to the increasing cost of medicines. In one case the EpiPen, used to treat severe allergic reactions, saw its price marked up by the manufacturer by more than 500 percent, from $93.88 in 2007 to $608.81 in 2016. It is worth exploring the potential consequences of Amazon entering the pharmaceutical market. However, amidst the media furore, it is also worth assessing the evidence fuelling the speculation surrounding Amazon’s intentions. The news originally stemmed from a quiet move by Amazon that at the time did not garner much publicity. Amazon applied in twelve states across the US for wholesale pharmacy licences: Alabama, Arizona, Connecticut, Idaho, Louisiana, Michigan, Nevada, New Hampshire, New Jersey, North Dakota, Oregon and Tennessee. The licence would be the first step if Amazon is seeking to distribute medications within these states. Amazon remained secretive about the endeavour. A spokesperson for the company reportedly announced that the company does not comment on “rumours and speculation”. The company’s lack of response to any inquiries about the licences is perhaps what has sparked an almost paranoid response from the industry, with many fearing the worst should Amazon disrupt the market. Nicodemo Fiorentino, a New Jersey attorney who provides regulatory and compliance advice to the pharmaceutical industry, said that the wholesale licence alone would not allow sales of medication, and that a pharmacy licence would need to be approved. Amazon may not intend to operate as an outlet for medications. Amazon later released information indicating that it did not wish to directly sell medication. Their intention is to sell medical devices and supplies across the US. Investment firm Jefferies have remarked that this may be a way for Amazon to ease their way into the industry. Retail of pharmaceuticals is a process with volumes of regulations. Medical devices may therefore be the path of least resistance to integrating into the market. “There has been a massive overreaction to the Amazon threat,” said Adam Fein, president of Pembroke Consulting and a drug supply chain expert, to CNBC. He notes that while Amazon has the financial and technical capacity to intrude into the market, the lack of experienced and qualified pharmaceutical personnel within Amazon will hinder their ability to outperform incumbent companies. Some reports suggest, however, Amazon is looking to change this and is beginning to broaden its hiring pool to recruit from the pharmaceutical industry. Dispensing for the pharmaceutical market also requires considerably more regulatory oversight than Amazon is used to with its current product range. Some companies have already moved to provide the potential services Amazon would have offered. CVS Health Corp has stated that as of early 2018 the company will be providing next day delivery across the US, with same day delivery available in some urban areas. CVS Health Corp has in recent years seen profits fall. This has been a consistent trend across many companies that deal with brick and mortar pharmacies. As with many industries, sale of goods has shifted to online purchasing. The announcement of a next day delivery service of medication may indicate that the pharmaceutical market is noting that potential competitors have already shown success riding a wave of online shopping habits. Preemptively employing the same tactics used by Amazon may be the only way for current pharmaceutical wholesalers to remain competitive. Ana Gupte, analyst at Leerink believes if Amazon does decide to enter the prescription markets in the future, wholesalers are the first to be at risk. “The conventional wisdom is that wholesale margins are thin, but Amazon operates on even thinner margins,” she says. Amazon has a far more palatable online presence than most pharmaceutical retailers, and will use this, along with their considerable existing customer base to overtake current retailers. Whether or not the impact of Amazon’s entry into the pharmaceutical market would be positive or negative is largely down to a matter of perspective. For those who could potentially lose their jobs due to redundancies in brick and mortar pharmacies, it is daunting prospect. For a person who may be housebound due to a medical condition, receiving a direct delivery of a prescription by the next day may be life saving. 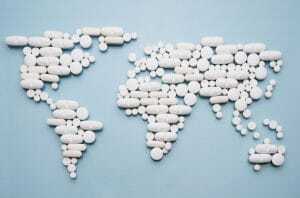 There lies a considerable potential for international aid if Amazon is to involve themselves with pharmaceutical delivery. 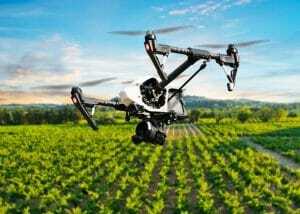 The “Amazon Prime Air” service, in which goods are delivered via drone, was noted to only be a reasonable service for rural areas, in which the drone had the space to land. This would be an ideal way of allowing for medications to reach, for example, remote rural areas of Africa. The technology is currently in its infancy, with drones not yet capable of delivering vast distances. However, future developments may render delivery by drone more economical than current transport chains.